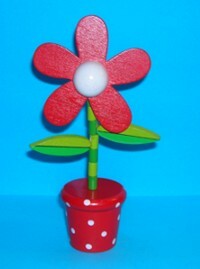 This push puppet of a daisy flower on a red and white spotted base. Push up on the bottom and the flower will collapse - needs more water ! !